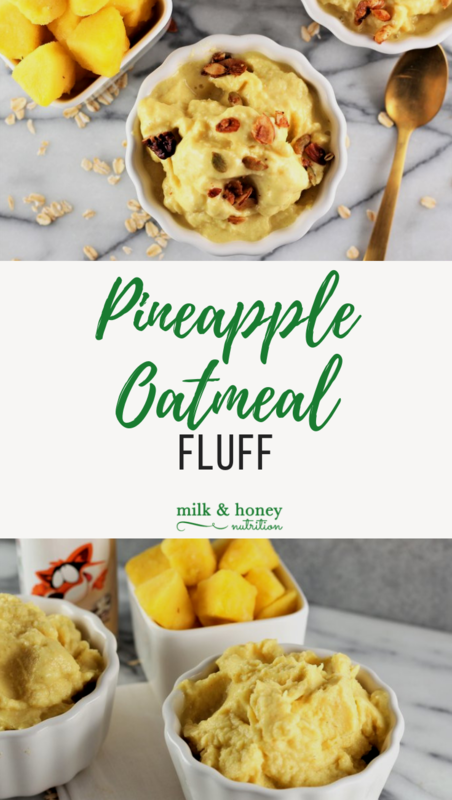 This Pineapple Oatmeal Fluff is perfect for spring /summer snacks or dessert! Sweetened mostly with frozen pineapple and packing a 1/2 cup of veggies, this is one snack you and your kids can feel free to indulge in! This recipe was sponsored by Sneakz Organic. All thoughts and ideas are my own. Add all of the ingredients to a large food processor and blend until relatively smooth (about 10 minutes), scrpaing down the sides a few times throughout. Divide into 3-4 servings and enjoy!